The minimalist Series 2 High Rise Mixer combines a stylish lever design together with ease of use. This high rise mixer with swivel spout features a sleek, round body, complemented by a matching round lever handle incorporating leading edge ceramic disc valve technology. The Series 2 high rise mixer is suitable for medium water pressure, for the best performance we recommend a minimum operating pressure of 0.2 bar. I was very pleased with this item, which was to go in our wash house. It is all I expected. 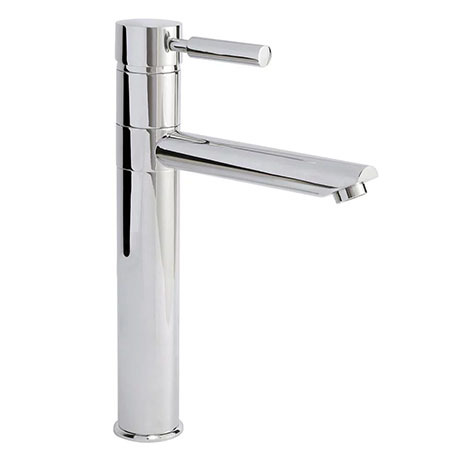 Tap is easy to operate, an increasing concern as one gets older, and I really like the height above the sink and the fact the spout will swivel. It is good quality and very good value for money. We have bought a second one to replace out taps in the kitchen sink. Arrived quickly. Looks great and really sets off the new sink we also purchased. Good price and would recommend to anyone. These are just as described, they are made from highly quality brass. It has such a smooth operation. Excellent.